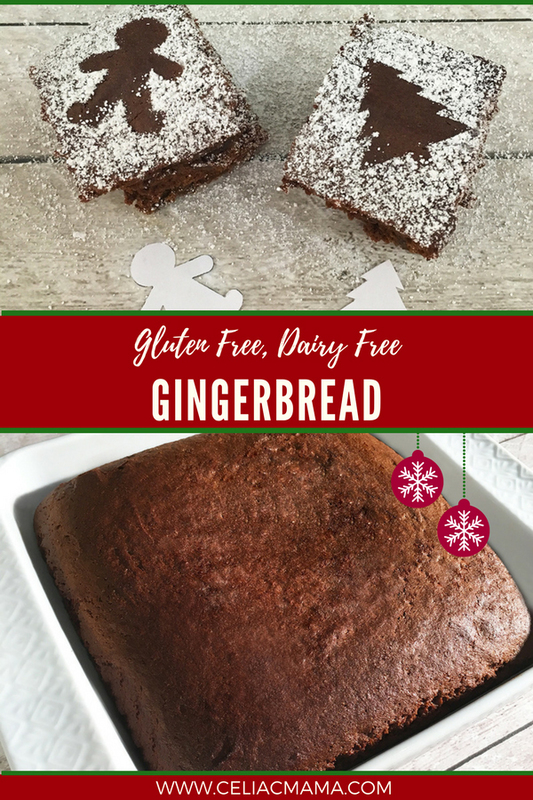 Gluten free gingerbread is a classic holiday recipe that’s perfect for breakfast, snacking and dessert! I bet many of you look forward to waking up to the smell of coffee in the morning. That’s how I feel about gingerbread. Every Christmas morning for as long as I can remember, I would wake up and smell the deliciousness, run out of bed to the kitchen to find some freshly baked by my mother. It became a cherished tradition in our house and I couldn’t wait to start it with my children. Of course, Gingerbread is traditionally full of gluten and dairy so I had to tinker with my mom’s recipe to make it safe for my kids. 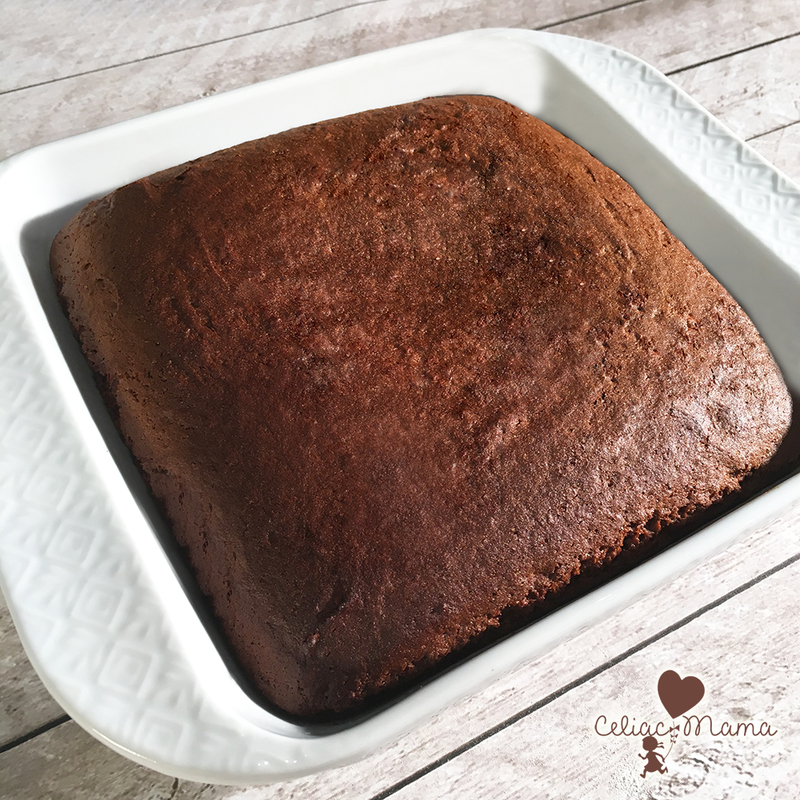 I substituted gluten free flour for the regular flour and coconut oil for the butter, put it in the oven with my fingers crossed and it came out great! I love getting my kids involved in the kitchen so that they develop a positive relationship with food, rather than feeling like they live without. 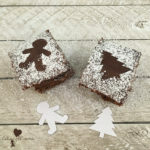 This time, I thought it would be fun to cut Christmas themed shapes out of paper with my daughter, place them on top of the gluten free gingerbread piece and sprinkle them with organic powdered sugar to look like a light dusting of snow. Then, we lifted the homemade paper stencil up and had a shadow of a gingerbread man or a Christmas tree. Look at how cute they came out? Ok, you’ve waited long enough 🙂 Here’s the recipe. It’s gluten free, dairy free, peanut free, and soy free. 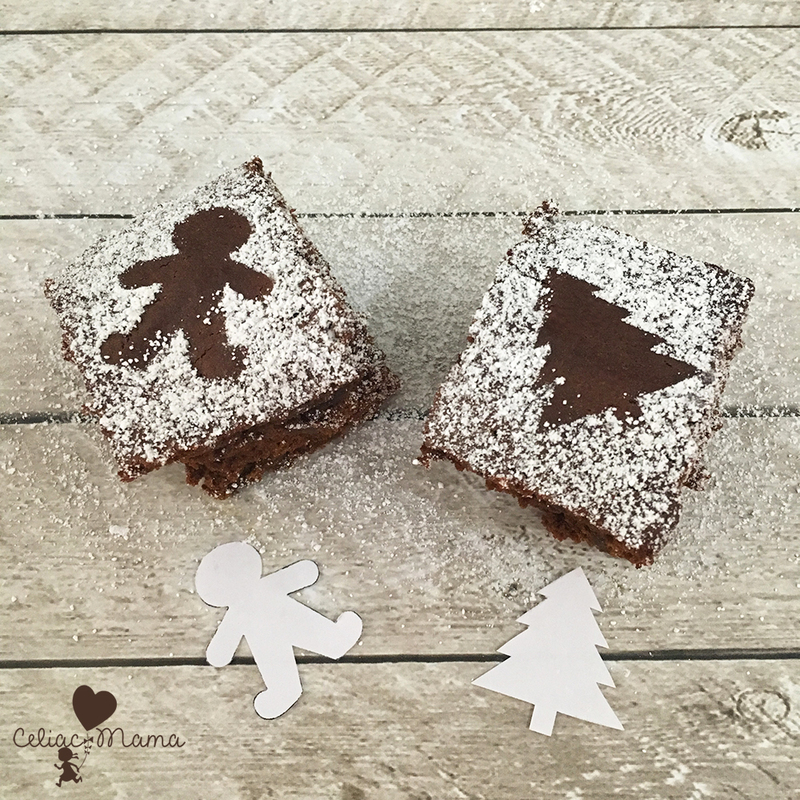 Gluten free gingerbread is a classic holiday recipe that's perfect for breakfast, snacking and dessert! Preheat the oven to 350 degrees. In a stand mixer, combine the baking soda, ginger, cinnamon, coconut oil, sugar, molasses and egg until it's smooth. Alternate adding the flour and hot water until it's well mixed. It will be smooth and thick and that's a good thing. Pour it into a 9x9 square baking dish. Bake for 45 minutes, until a toothpick comes out clean. If you want to dust the top like we did, cut a small shape out of your choosing in paper and place it on top of a piece of gingerbread. Get a sifter and add some powdered sugar to it. Lightly tap the side of the sifter over the gingerbread piece until the top is evenly covered in a light dusting of powdered sugar. Carefully remove the paper shape and Enjoy! Are you looking for more holiday recipes? Try my Gluten Free Christmas Cut Out Cookies and Cranberry Orange Bread recipes.